Recent development of rechargeable battery technology allowed wider use of electric propulsion in electric vehicles, electric motorcycles, boats etc. Most popular high performance batteries are based on Lithium chemistries. Such batteries require systems to keep them in the specified usage range while being used. The Battery Management System (BMS) is required for batteries that are sensitive to their usage conditions such as current, voltage and temperature. Emus BMS is the product intended for use with LiIon, LiPO, LiFePO4 and other chemistries prismatic battery cells which operating voltages range is from 2V to 5V. 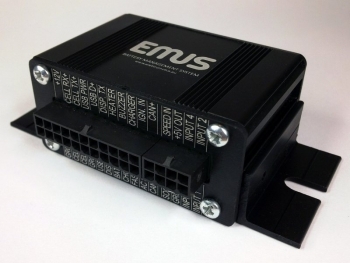 Emus BMS is a distributed type of digital BMS with central Control Unit. It does the balancing of the cells by dissipating the excess energy of cells as heat which is often referred to as passive balancing. Single cell voltage range: 2-5V - the best fit for LiIon, LiPo, LiFePO4 chemistries. Weather protection Control Unit is hermetically sealed to meet IP55 requirements. Internal electronics protected with conformal silicone coating. Cell Module's electronic parts coated with silicone conformal coating protecting circuits from moisture and dust. 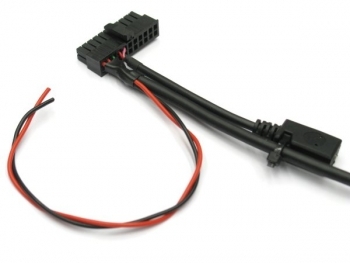 Tool-less installation Cell modules can be installed without tools (only a bolt wrench is needed for cell terminals) as cell modules have spring-loaded terminals that allow reliable connection of wires by hand. 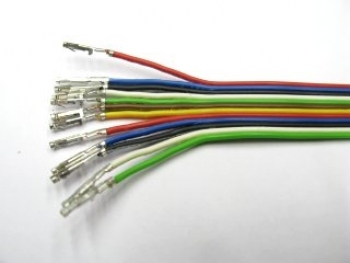 Pre-cut inter-connection wires are supplied in the shipped package for quicker installation. When connected to Control Unit blinking green LEDs on Cell Modules indicate live communication and allow quick identification of problematic cell connection. Configurable balancing current range Linear zero to max, configurable maximum balancing current – useful to define maximum balancing current and amount of heat dissipated by modules during balancing. Cell voltage measurement Real-time bar graph on LCD or PC – useful to detect faulty cells and track battery health, or as general visualisation for advanced users. Cell temperature measurement Real-time value on LCD and bar graph on PC – useful for controlling charger and load in high temperatures, for setting charging mode and contol of battery heater in cold weather (lithium batteries can‘t be charged below freezing point). Many other BMS systems are not suitable for use in cold environment. Early cell balancing Balancing is done while charging, battery pack is in balance when charged – takes no additional time. 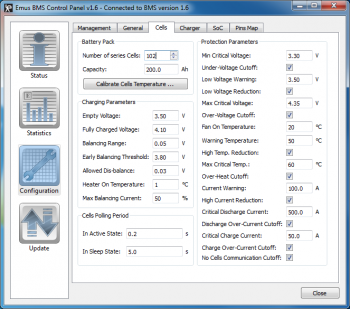 Many other BMS systems start the balancing only when at least one cell is fully charged and overall charging time is drastically increased (in terms of hours). Forward Error Correction algorithm Increases data ransfer robustness and drastically reduces possibility of faulty data – data is corrected by Control Unit, even if it arrives with errors caused by high EMI levels. USB interface USB 2.0 compatible, with free, intuitive and easy to use, good quality Emus BMS Control Panel windows application. RS-232 interface Periodically sending the working status and parameters which can be received by LCD display or other device. Parameters output format specification is available upon request. 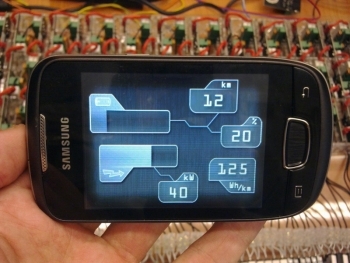 CAN interface Used for controlling CAN-capable charger and broadcasting working status and parameters to other devices that could be connected on CAN bus. Broadcasted parameters specification is available upon request. Other peripherals support is possible after firmware upgrade. CAN-equipped charger control Precise charging process control by setting required charging voltage and current and monitoring actual values. Currently chargers produced by www.hztiecheng.com are supported. Additional charger models can be added by software upgrade. Simple charger control Ordinary charger may be conveniently used as BMS detects charger's plug connection to AC mains outlet via optional isolated charger sensing solid state relay. Charger switched on and off via same solid state relay.